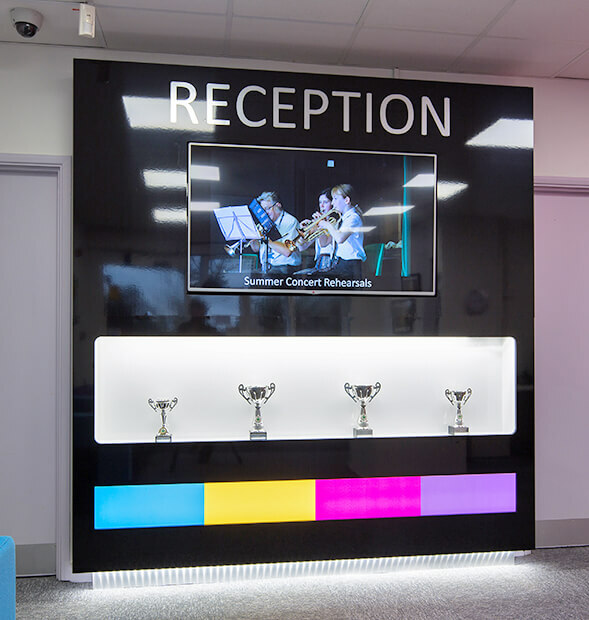 St Catherine's College (A Church of England Academy), formerly Bishop Bell School, commissioned Pinnacle to refurbish and design a new reception area and inclusion room. 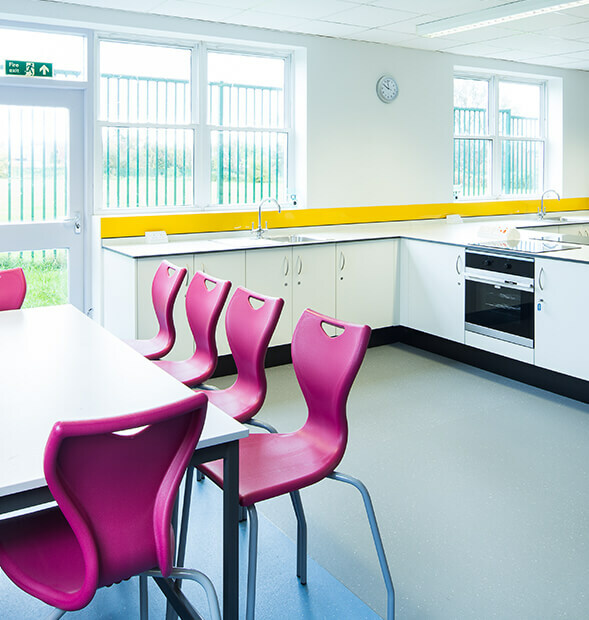 The client also specifically stated that the school’s colours should be incorporated in both areas. The overall theme was to be industrial with bare concrete, ply columns and exposed walls, with a Scandinavian feel to the furniture. The mood was important to Techspace, who wanted a pared-back natural feel with wood, concrete, stripped walls and soft neutral colours. 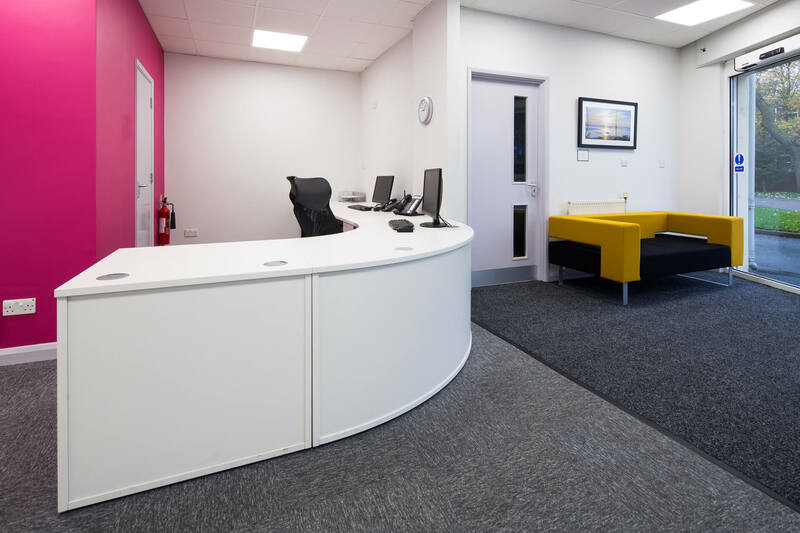 The building consisted of five enterprise floors, one co-working floor and the ground floor reception. 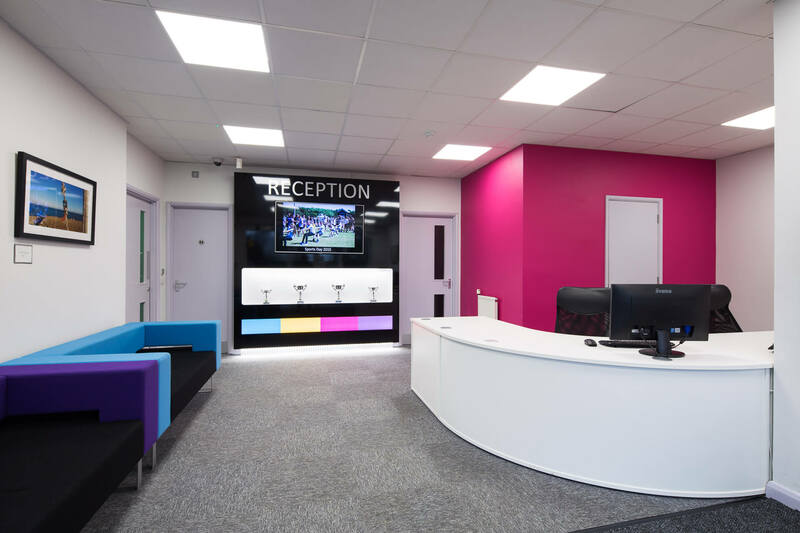 Office Profile stripped the building back to its bare bones and put in all-new data, electrics, plumbing, lighting, air conditioning, partitioning and many other works. 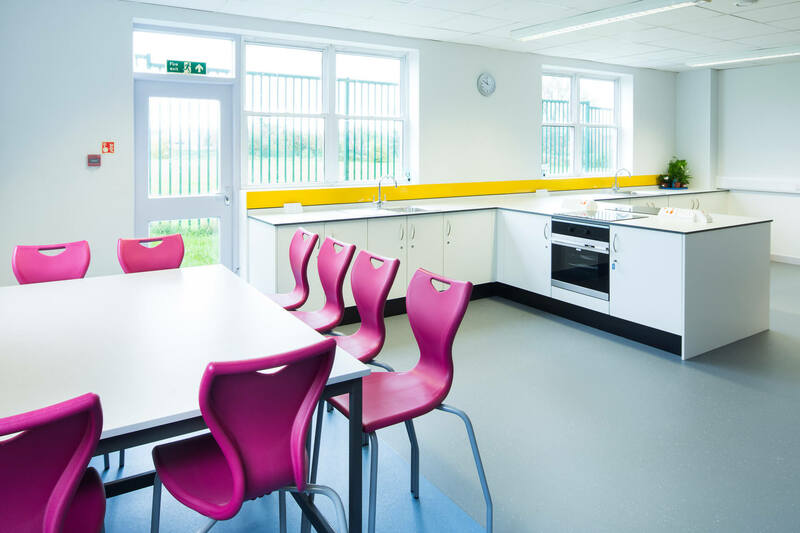 The concrete screed flooring was pumped in and the building was then renovated from top to bottom. 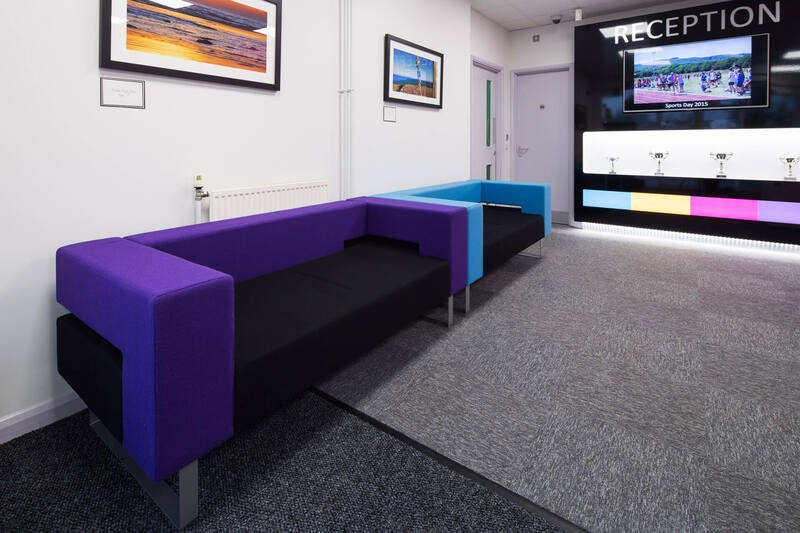 We created “zones” on each floor for working areas, meeting rooms, private offices, kitchens and breakout spaces, and we then installed a variety of furniture to suit the separate areas. 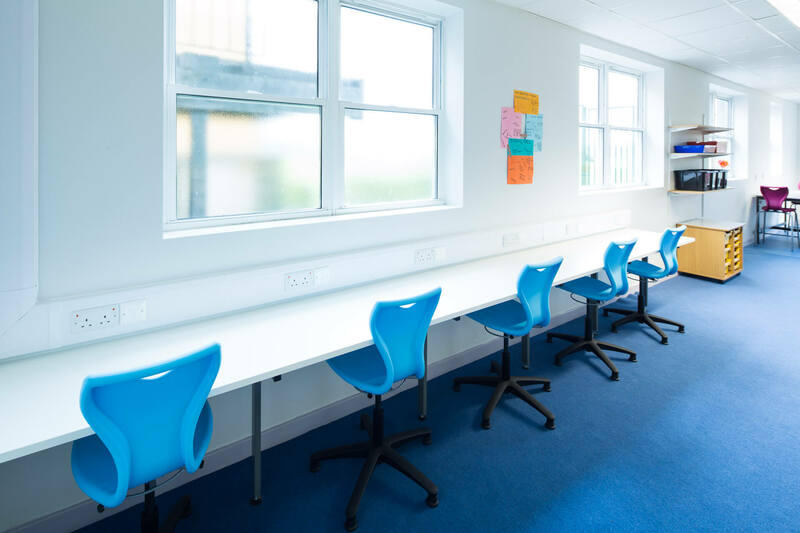 The working areas consisted of black operator chairs and white bench desks with power and data installed accordingly. There were blue bar stools in the kitchen to create a hint of colour for the relaxation area, without being too bright and intrusive into the natural colours of the fit out. These were matched with blue pendant lights. There were also blue and charcoal fabric sofas and brown distressed leather sofas paired with minimalistic coffee tables as lounge break out areas or for informal meetings. 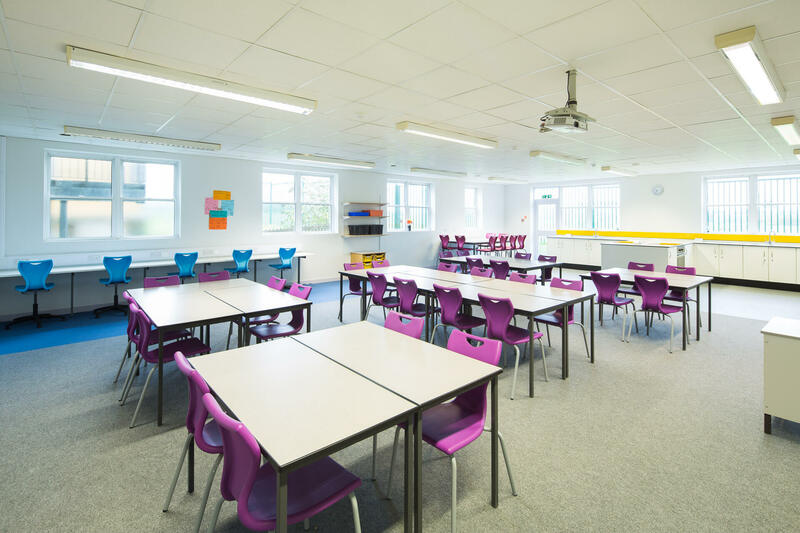 We supplied ping-pong tables also for separate break-out rooms. Pendant lights in different finishes were used to good effect to highlight the different zones and accentuate the industrial theme. 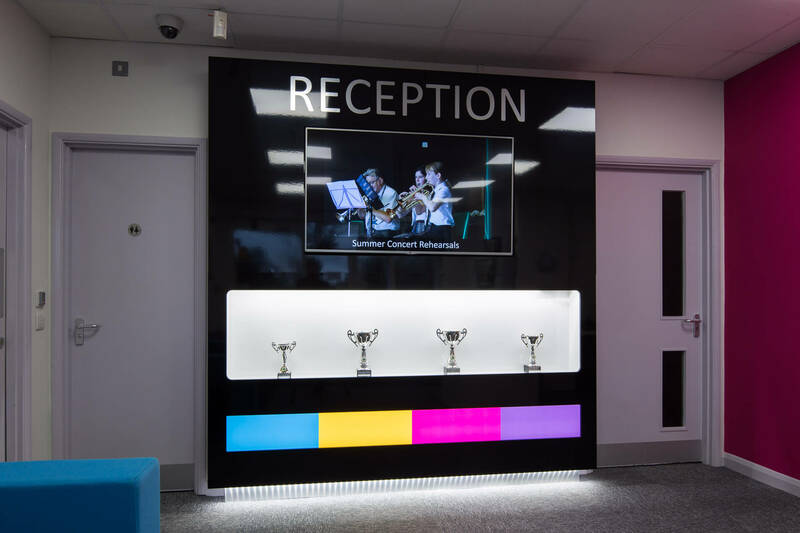 We used digital screens and illuminated signage in the reception and outside the front of the building to provide a strong branding presence and clear directions giving a friendly and informative user experience.